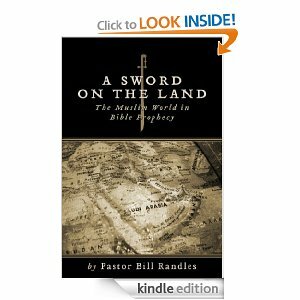 I would really appreciate it if you could do reviews of this book for Amazon and spread the word about it any way you can, as I believe it would be an invaluable evangelistic tool. The hard copy of this book should be available soon. I am confident that this book will prove to be a blessing to anyone who will read it with an open heart. Praise the Lord. ( Daniel 5:25-28 KJV ) “And this is the writing that was written, MENE, MENE, TEKEL, UPHARSIN. This is the interpretation of the thing: MENE; God hath numbered thy kingdom, and finished it. TEKEL; Thou art weighed in the balances, and art found wanting. PERES; Thy kingdom is divided, and given to the Medes and Persians”.!! I’m quite taken with all of this, and have gotten my church interested enough in looking at current events through the lens of Scripture that I’m leading a Wed. night Bible study based on the things you discuss in the book. I might even get a Sunday sermon or two out of some of the material (essentially a repeat/condensation of the first couple weeks of the Bible study – my pastor wants the people who didn’t come to hear it.) Thanks so much for going through the effort of putting all this together. We truly do need to be paying more attention as a church to what’s going on in the world around us. What was the line in the Joe English song? “Every time you think it’s not near it’s nearer than you think!” 😀 God bless, Pastor Bill!